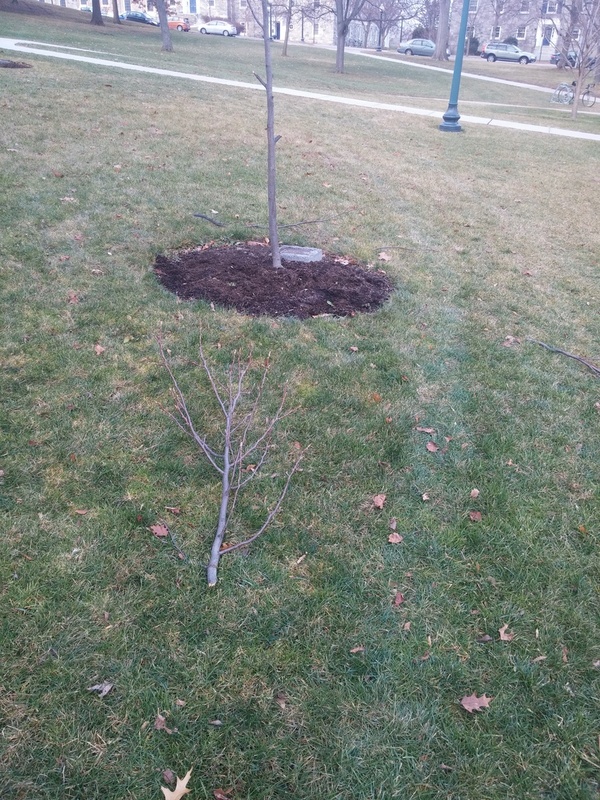 This entry was posted in Midd Blogosphere and tagged Campus community, landscape, Trees, vandalism on December 11, 2015 by Tim Parsons. Two nights, three trees trashed. Once again, all around the Atwater dorms. More and more, I’m convinced that it is either one student, or a small group. As spring creeps along, the damage is getting worse. Based on the pattern of damage, I’m pretty sure the students(s) are in the senior class, and I worry about the end of the semester, in light of the increase of damage this spring. Will it get worse and worse closer to graduation? So I’ve had enough, and I’m going rogue. A Ramunto’s Pizza, your choice of toppings, to the student or students that help me discover who is behind this. THIS IS NOT AN OFFICIAL MIDDLEBURY BLOG, and this reward is not sponsored by Middlebury College or Facilities Services. This is me, frustrated, saddened, and pretty pissed upset over the stupidity and sense of entitlement these vandals have. Someone knows who they are. It’s a small community. And they don’t want to tell. I get that. Based on the violence exhibited, I don’t blame you. So email me (tparsons @), campus snail mail me, whatever. I will pass along tips to a detective in public safety, anonymously if you like, and we will figure this out. Heck, I’ll even throw in a batch of cookies my kids will make. Don’t believe we have a problem? Read what I’ve written in the past, or read the excellent article the Middlebury Campus wrote a couple of weeks ago. 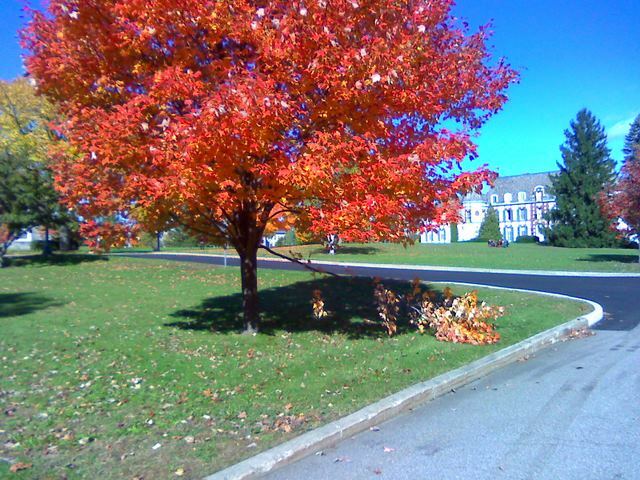 I can’t even begin to write about how much of a pleasure it is to work here, and how much pride both myself and the entire landscape department takes in the outdoor environment here at Middlebury. As I begin to take my oldest daughter to other schools, I’ve yet to see a college that even comes close to our little peice of the world here. I look at young trees, but in my mind I see mature trees, 50, 75, 150 years down the road. Think this campus is pretty now? Wait until your 50th reunion. We’re planting trees for your grandkids. Wouldn’t it be nice to have them around? So I’ll cook dinner some Friday night, instead of getting take out, if that’s what it takes to stop this stupidity. Happy earth day everyone! 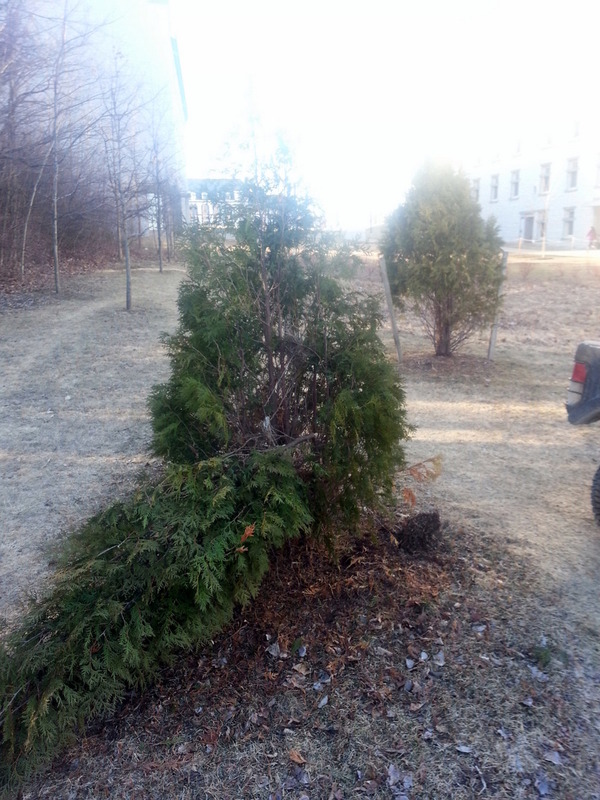 Four nights, and two more trees pulled up out of the ground. One, right in front of Atwater B, had been pulled up last fall as well. 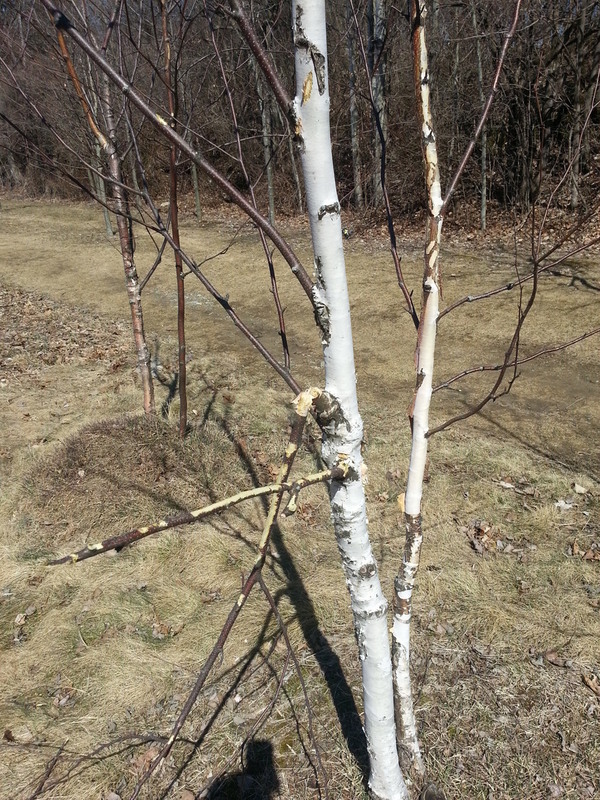 We’d replanted and staked well, hoping it would live, and now saw both tree and stakes pulled up and out. 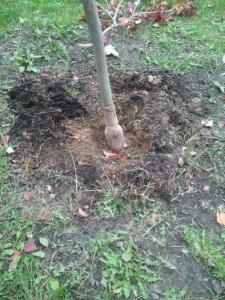 Excessive damage to the rootball didn’t make the tree worth re-planting. Chalk up another mortality. 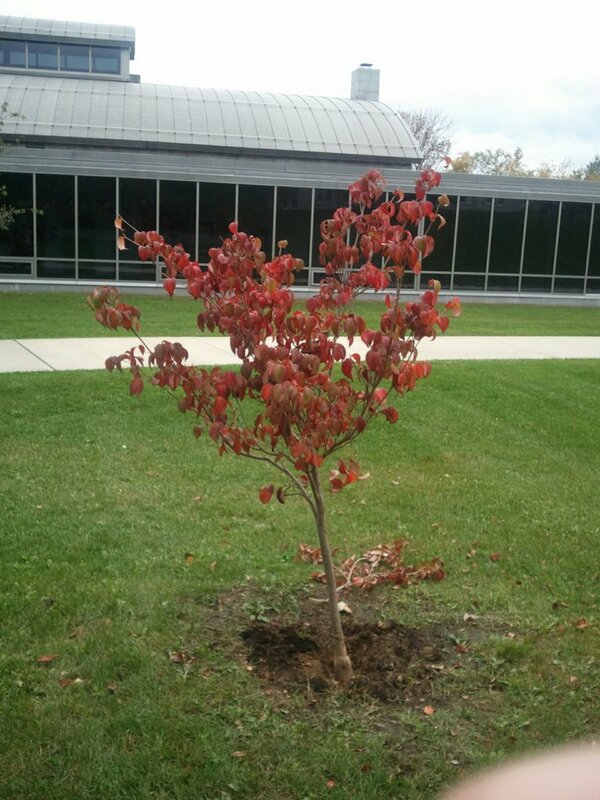 The other was a Japanese Stewartia pulled up in front of Ross Dining, We replanted, and are hoping for the best. The guys in the department are chipping in for two pizzas now. Whatever it takes. Don’t want to send a tip to me? Call public safety and make it anonymous. Try Middbeat or Middblog. Somebody. Anybody. This is your chance for 15 minutes of Lorax fame. 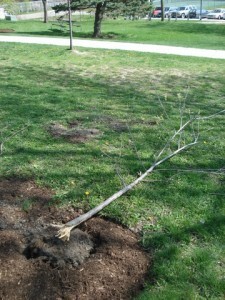 This entry was posted in Midd Blogosphere and tagged Campus community, Trees, vandalism on April 5, 2013 by Tim Parsons. No, not the song by the 22-20′s. 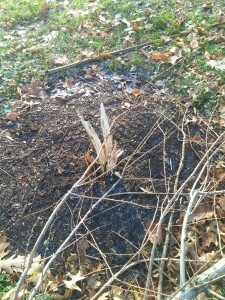 The plant vandalism on campus continues. We’re on year four, and I’ve been trying to document all the cases. The tally stands at 62 incidents in the last four years, 10 in 2009-2010, 25 in 2010-2011, 9 in 2011-2012, and 18 so far this school year. I’ve written about the violence against the trees in the past, and we continue to see the same acts again this school year. The classic example would be an elm tree planted 2 years ago for the Atwater landscape project, rocked back and forth, and the 300 lb. root ball pulled up out of the ground and left on top for an entire weekend. 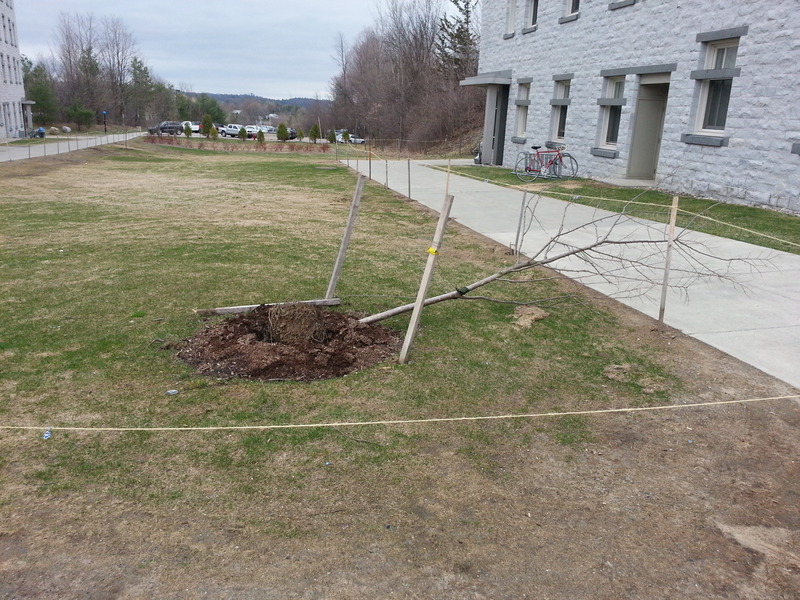 Sadly, this wasn’t the only tree torn from the ground this year-two more that were planted last spring were pulled during winter term. As Will’s article alluded to, and Brian summarized well in his paper, the damage seems to be focused not necessarily around party locations (little damage is seen in Ridgeline, for example), but seems to be on pathways to and from these locations. I recently mapped the locations of the incidents for the last four years, and have included it below. I continue to struggle with solutions. Some communities post signs next to the damage. I hestitate, thinking about how within the next year I’ll be going on school tours as a parent. Surely the article in the Campus is a great start, as will be our annual tree planting for Arbor Day (May 14, mark your calendars now). We’re a small community, we have to take care of each other, and that would include our campus forest as well. 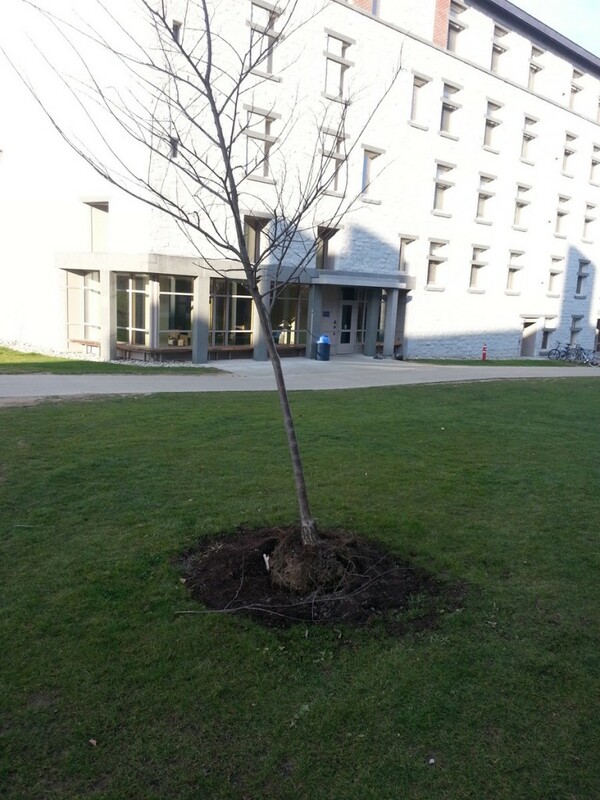 This entry was posted in Midd Blogosphere and tagged Campus community, landscape, Trees, vandalism on March 21, 2013 by Tim Parsons. I was asked (and jumped at the chance) to join Community Council this year, and was in a meeting last Monday when I was asked if there was any vandalism this year to the landscape. I happily reported we haven’t seen anything this year. I’d spoken too quickly, as the guys in the landscape department hadn’t been around the entire campus that day, but had been by tuesday. We’ve certainly had our problems in the past (even have a tag for vandalism on the blog), but I was hoping the student (or students) had moved on, or at least come to see the error of their ways. I’d even heard through the grapevine that one of the perpetrators may have been caught. ‘Satomi’ Kousa Dogwood, a nice little pink flowering tree, was planted in Ross Commons near the plaza this spring. Someone tried their best to rip it up out of the ground last weekend. You can see the broken branch on the ground, but the real issue here is the root system. Look at the root flare, where you can see the tree was repeatably pulled back and forth in an attempt to pull it out of the ground. 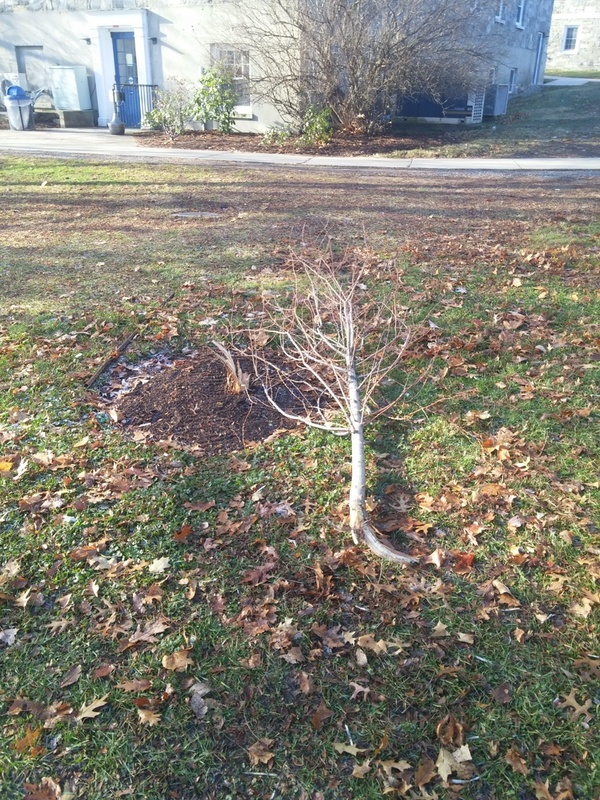 We had no choice but to dig the tree up and replant it. 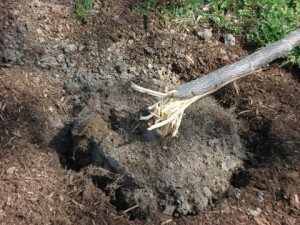 About 40-50% of the roots were broken in the process, all on one side. 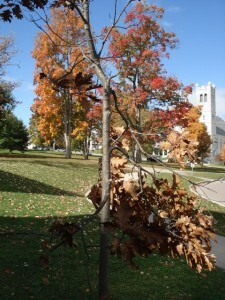 Hopefully youthful vigor will rally the tree and it will recover, but the outlook is grim with that much root loss. 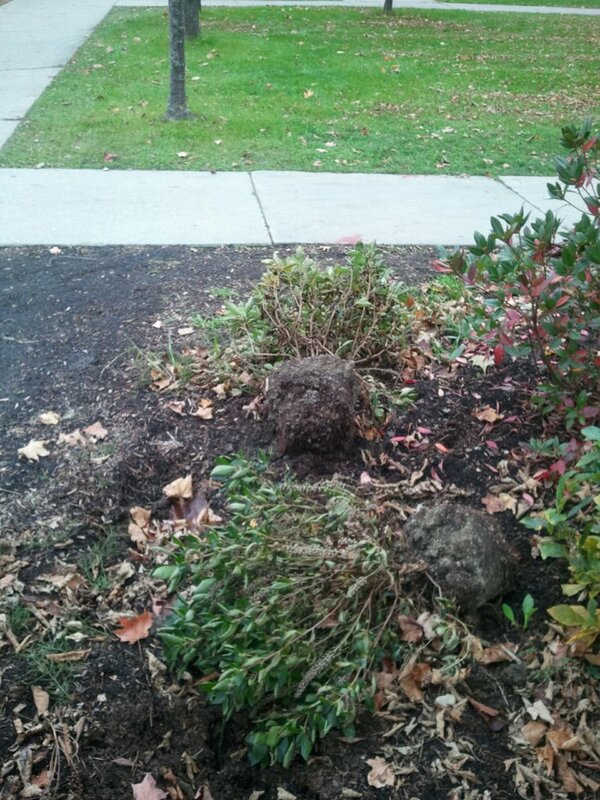 More senselessly, two shrubs were pulled up out of the ground next to their holes at Battell South. They were Summersweet, a shrub so nice I wrote about it a little while back. 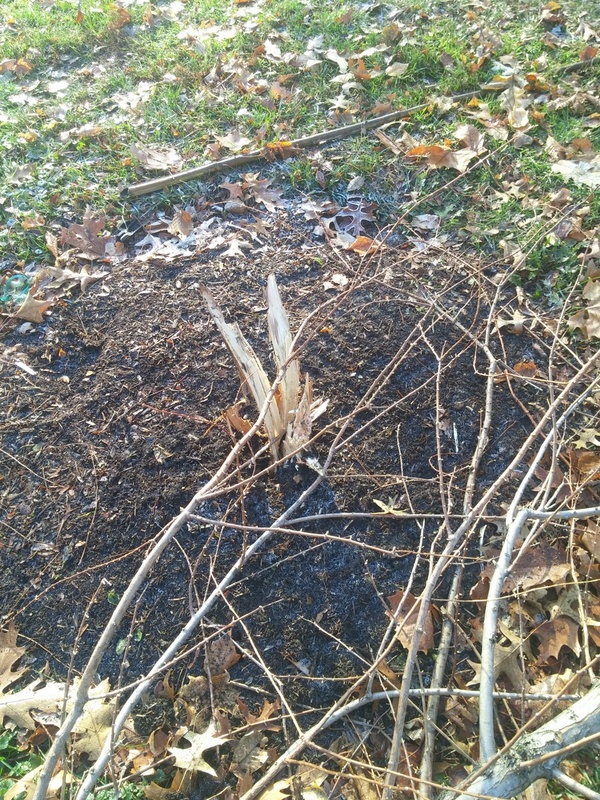 We replanted those as well. Let’s try and make this the one random incident this year, please. 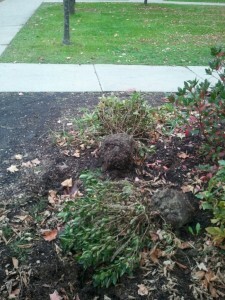 This entry was posted in Midd Blogosphere and tagged Campus community, landscape, vandalism on October 20, 2011 by Tim Parsons. We are not alone, for better or for worse. 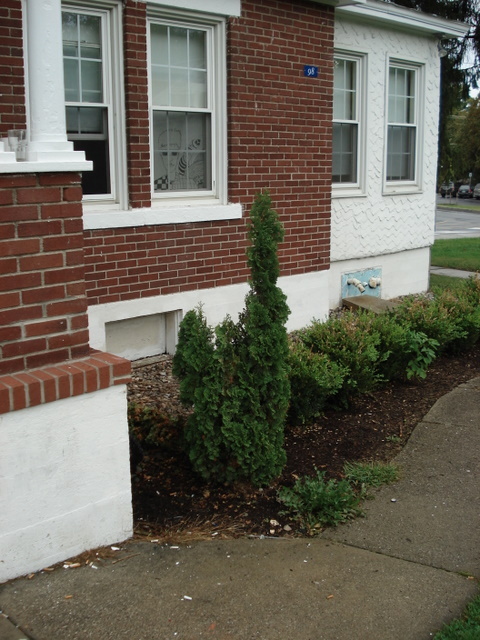 I’m all for punishing these vandals and I love trees and naute, but let’s not get carried away here. Trees are not people. Suggesting otherwise ust makes you look like a fool. Heehee. Yeah, I’m a little foolish. I can live with that. So I thought I was done, finished writing, whining, wailing, lamenting a priviliged student’s acts every weekend, stopping count at 10 weekends in a row. On to writing about happier things. Then Friday night, another branch on my favorite Katsura tree on campus. This entry was posted in Midd Blogosphere and tagged landscape, Trees, vandalism on January 11, 2011 by Tim Parsons. Personally, I was hoping we were done with this. I’m as tired of writing of it as you are of reading. 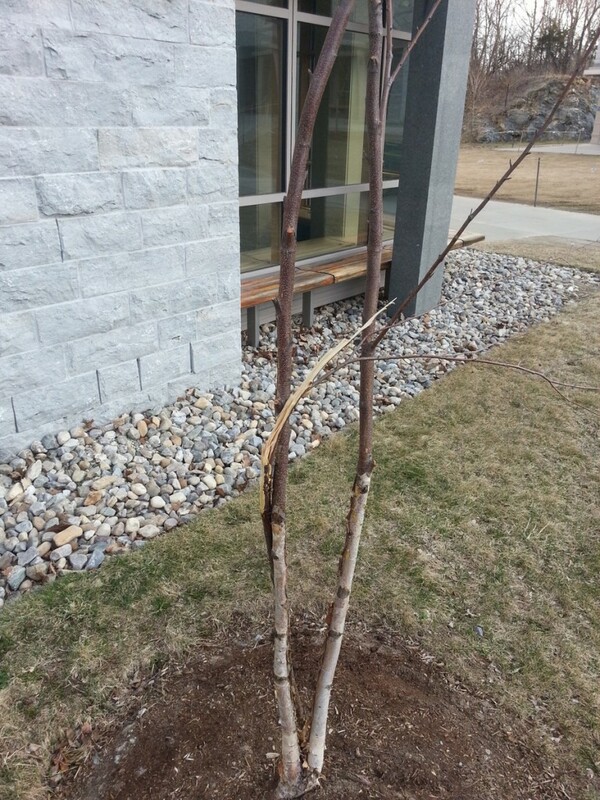 Since the school year started, our landscape department has seen an additional 4 incidents of tree vandalism. 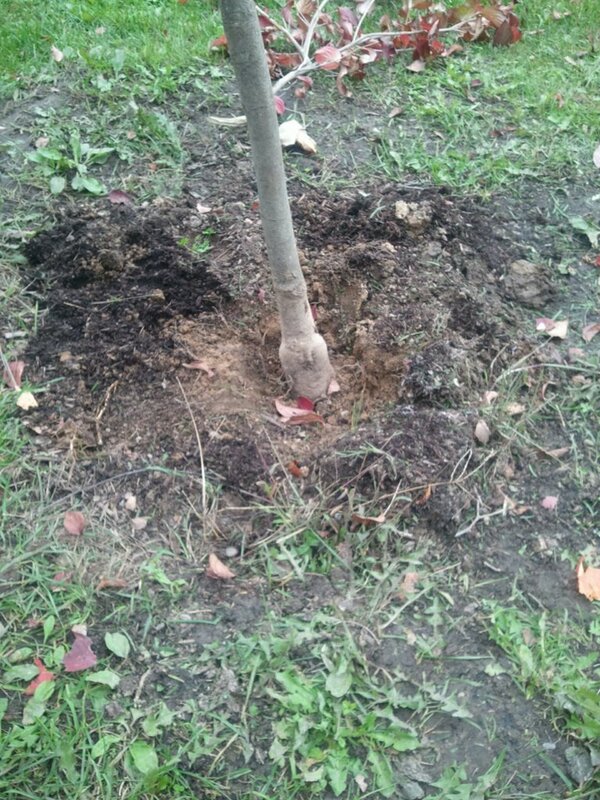 One, a newly planted tree was broken in what appeared to be a climbing attempt (no, we’re sure it wasn’t a squirrel of exceptional size). 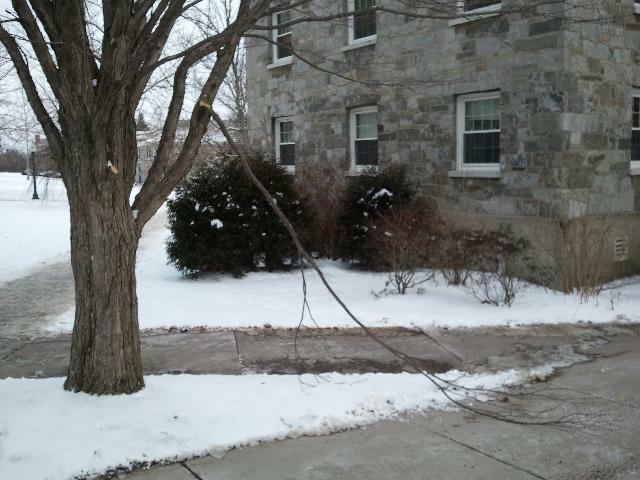 An arborvitae was snapped in half in front of a dorm, and a random branch broken off a a large sugar maple in front of Johnson. This is only half the tree! The final straw, though, and the reason for the quick post on a lunch hour, was the near total destruction of a little red oak by the Davis Family Library. Nearly every single branch on this street tree was broken or bent downward, leaving only the very top branches. This wasn’t just a random “lets grab a branch and break as we walk by”, this was intentionally standing in front of a tree, breaking as many branches as you can reach. Cruel, senseless, disheartening, and more than a little bewildering. What can we do as a community? 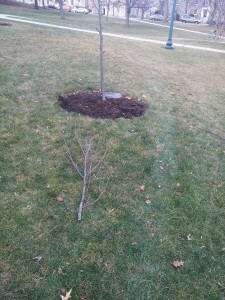 Just the other day a crew chief and I were interrupted by a student walking to class, and he’d mentioned how he had joined us tree planting on Arbor Day. He pointed to the tree he did, and said he can’t wait to bring his kids to see it in 30 years. So we keep planting, and keep pruning broken branches. This entry was posted in Midd Blogosphere and tagged Trees, vandalism on October 15, 2010 by Tim Parsons. I read with interest the recent article in the Middlebury Campus on the increase in vandalism this year, as I completely agree. We’ve recently lost another tree to senseless idiocy, this one a rare Silverbell. We’d only planted this tree about a year and a half ago, and it was ripped up out of the ground about 2 weeks before it was due to flower. I could see the little flower buds shriveling up and dying right before my eyes. Not only was this tree ripped up out of the ground, but it was snapped in half at the base as well, I guess in case the first injustice wasn’t enough. This was outside of Allen Hall. 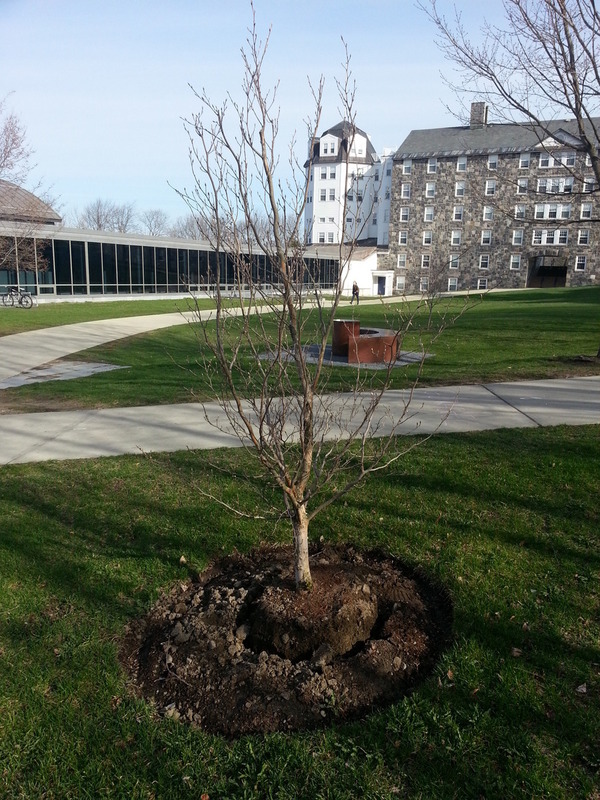 That same weekend, someone felt the need to do a little pruning on a paper birch outside of Battell. Maybe what concerns me the most is the possibility that, because most of the plant vandalism seems to be taking place outside of freshman dorms, we may be in for 3 more years of this. Once again, any ideas are welcome on how to fix this as a community. 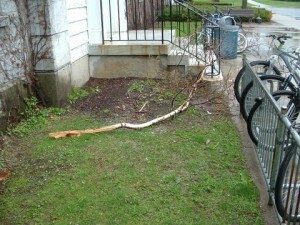 This entry was posted in Midd Blogosphere and tagged landscape, Trees, vandalism on May 9, 2010 by Tim Parsons.